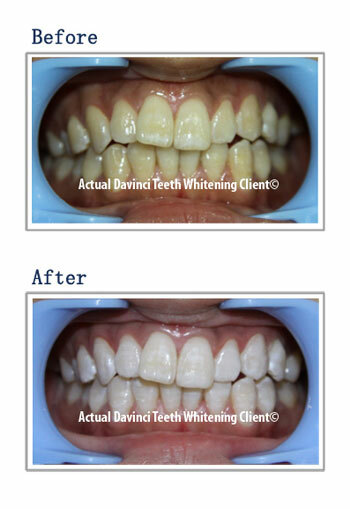 Instant Beauty Spa is proud to use DaVinci organic teeth whitening products. It is a fast, safe, and convenient way to brighten your teeth instantly. DaVinci is a USA based company that has been trusted by dentists, professionals, and consumers since 1999. It is the most revolutionary teeth whitening technology on the market and the most effective way to whiten teeth. Our customers love the fact that they do not experience sensitivity and get better results than from their dentists. We offer several options: a 60 minute teeth whitening session or a quick 30 minute session for a nice touch up. 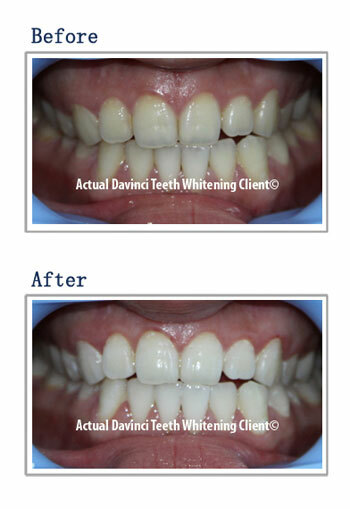 We are proud to use DaVinci Organic Teeth Whitening Products. These organic teeth whitening gels are strong enough to deliver the results our clients want. Yet gentle enough to provide a non-invasive and pleasurable teeth whitening experience. Most clients see a range of 7 shades of beautiful whiter teeth. Some clients may even see up to 20 shades whiter. Let us make your smile whiter today! Our organic teeth whitening gels are made using only the highest quality organic plant and mineral based ingredients. These teeth whitening products are made in the USA. The active ingredient in our gel is a food grade Hydrogen Peroxide and contains three key minerals, to stabilize and strengthen the enamel. Our organic teeth whitening products are dental grade. This means that our teeth whitening product is the same strength you find at your dentist. It has been proven to whiten as well or better than other dental teeth whitening products. Except our product do not come with the same level of sensitivity and side effects that other teeth whitening products on the market. 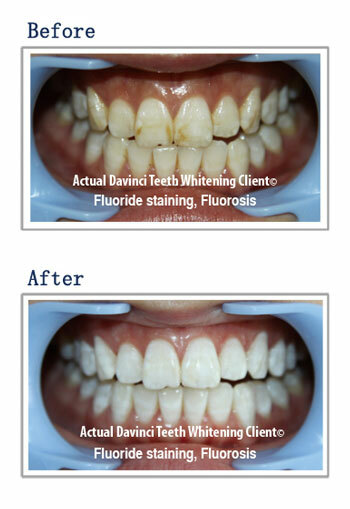 Our teeth whitening products get our clients the results of dentist teeth whitening session at a fraction of the cost!